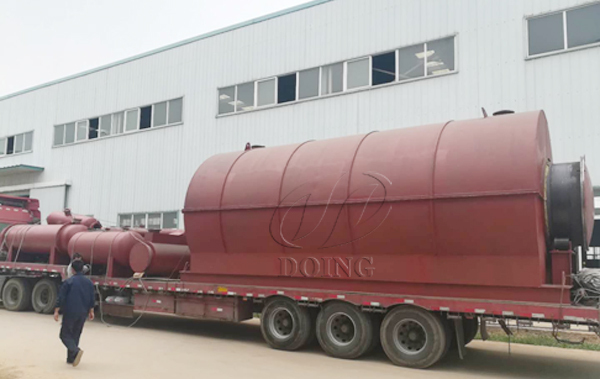 On March 29, 2019, one set 12T waste tire to oil machine was successfully sent to Ukraine. The waste tire to oil machine was carried by a truck from DOING's factory to the port. Ukrainian customers ordered waste tire to oil machine with horizontal condenser, carbon black hoist and dust collector. With these configurations, the waste tire to oil machine will not pollute the environment in the process of handling waste tires, and has a high oil output rate. 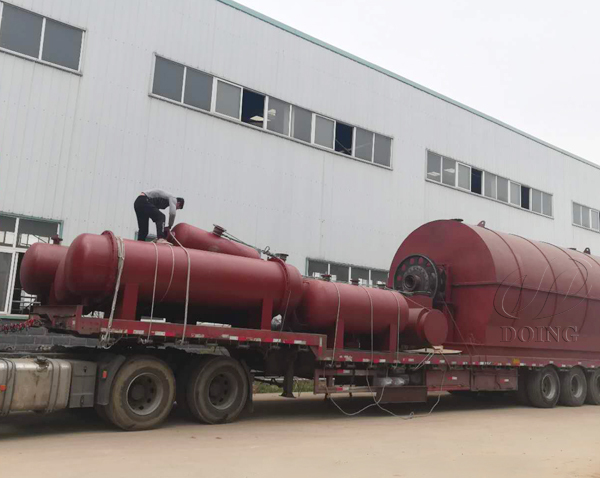 After waste tire to oil machine is sent to Ukraine, DOING's installation engineers will come to guide the installation.